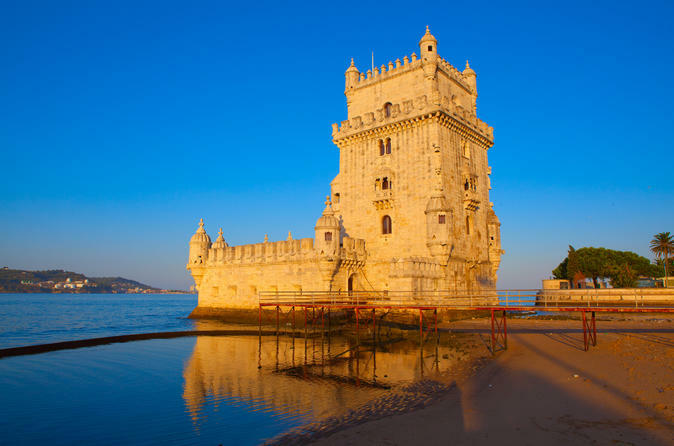 Enjoy this 13-Day tour to immerse yourself in the Portuguese and Spanish culture. Take the opportunity to visit the famous Alhambra , Fatima, Lisbon, Sevilla, Valencia, Barcelona and much more. Enjoy a combination of organized visits, plus unstructured free time to wander at your own pace. Your 13-day excursion also includes a guide, 12 nights accommodation at 3- and 4-star hotels, meals, transport by luxury coach, plus select entrance fees and guided visits. Departure from Plaza de Oriente at 08:30 a.m. Drive to Avila. Short stop to know its walled and old town. Then to Salamanca. Free time. Departure until you reach Porto. Accommodation. Breakfast. Panoramic sightseeing tour of Porto. Accommodation. Breakfast. Departure to Coimbra and free time. Then to Fatima. Accommodation. Breakfast. Departure to the Batalha Monastery. Continue to the picturesque fishing town of Nazaré. Free time and continue to Alcobaça and then to Lisbon. Accommodation. Breakfast. Morning sightseeing tour of the ancient Olissipo. Afternoon at leisure. Accommodation. Breakfast. Departure to Caceres considered as World Heritage place. Afterwards, continue on towards Cordoba, once the capital of the Caliphate. Dinner and accommodation. Breakfast. Impressive tour of its Mosque and other sites that will ease our mind and spirit strolling through its narrow winding streets of the Jewish Quarter. In the afternoon, ride reach Seville. Dinner and accommodation. Breakfast. Morning panoramic city tour visiting: the exterior of the Cathedral, Santa Cruz quarter, Maria Luisa Park and Plaza de España. Afternoon at leisure. Dinner and accommodation. Breakfast. Drive east through the Caliphate road to the heart of ANDALUSIA. Visit the world famous Alhambra complex and Generalife Gardens. Dinner and accommodation. After breakfast at the hotel start driving looking for the Mediterranean coast. Reach Valencia one of the main capitals of the Mediterranean coast with its modern Arts and Sciences Architectural Complex. Accommodation. Breakfast. Morning city tour of this bright city including a drive through the old city showing the most prominent buildings. Early afternoon departure northward all along the Mediterranean coast to Catalunya. Reach Barcelona principal Mediterranean city homeland of the famous architect Gaudí. Accommodation. Breakfast. Morning city tour of Barcelona. Afternoon at your leisure. Accommodation.